Arab terrorist brought to Israel by left-wing NGO convicted after stabbing Israelis in Tel Aviv hotel on eve of Holocaust Remembrance Day. The Arab terrorist responsible for a stabbing attack in a Tel Aviv hotel was convicted Monday on two counts of attempted murder. The attack took place on April 23rd, 2017, on the eve of Holocaust Remembrance Day, inside the Leonardo Hotel in Tel Aviv. 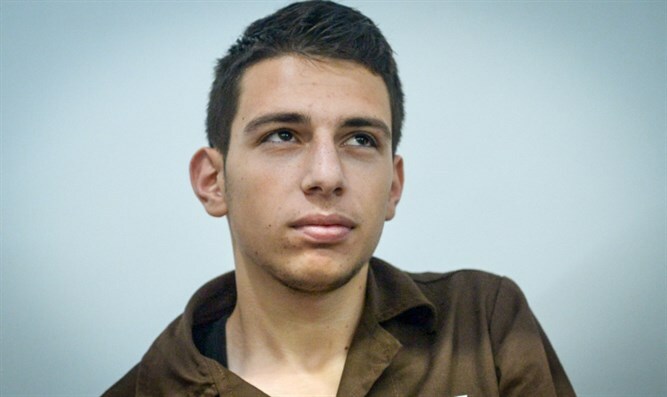 Eighteen-year-old terrorist Imad Agbar, a resident of the Palestinian Authority-controlled city of Shechem (Nabulus), entered Israel using a one-day pass he received from a left-wing NGO which works to help Arab teens visit Israel. The terrorist received the entry permit, which was issued by the Defense Ministry’s department for Coordination of Government Activities in the Territories (COGAT) at the request of the leftist Natural Peace Tour organization, for a one-day tour of Israel. Natural Peace Tour is one of several leftist groups which bring Palestinian Authority residents into Israel for vacations, ‘peace tours’, and meetings with Israeli youths. After he entered the lobby of the Leonardo Hotel in Tel Aviv, Agbar stabbed four people before he was neutralized and taken into custody. On Monday, the Lod District Court found Agbar guilty of two counts of attempted murder and two counts of aggravated assault, as part of a plea-bargain agreement with prosecutors. Agbar had been indicted on four counts of attempted murder. As part of the agreement, Agbar admitted that he had attacked his victims as a nationalistic act of terror, targeting them because they were Jewish. Agbar also admitted to having planned a prior abortive stabbing attack near the Dead Sea in December 2016. During his 2017 stabbing attack, Agbar wounded three Israelis, including three men in their 50s and 70s, and a woman in her 50s. The four victims suffered light stab wounds during the attack.